Thanks to everyone that popped down last night, good fun was had all round! Here's a track from my set that piqued Monsieur Spinney's interest to ease you into your Saturday afternoon - Don Henley was a founding member of The Eagle and the lead vocalist and drummer till they split in 1980 when he continued with a solo career. Dirty Laundry is from his first album and was more of a hit across the Atlantic which probably explains it's relative unknown status on our fair shores. Happy Saturday! 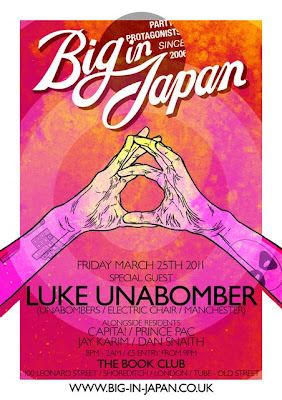 BIJ PARTY WITH LUKE UNA THIS FRIDAY!! 7>12 launches as our new monthly 7" only session with resident selector and massive fan of the smaller record, Andy Blake joined by guest DJ Tom Furse from The Horrors. 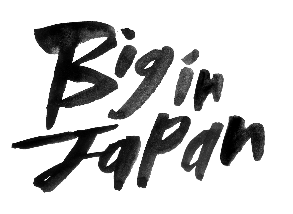 Expect all kinds of musical excellence from funk and soul to rock & roll; surf instrumentals to proto-disco and strange European pop music and a whole manner of other sonic delights. Expect guest appearances in the next couple of months from Andy's DJ friends, including JD twitch and JG Wilkes (Optimo), Craig Richards (fabric), Gatto Fritto, Headman, Neville Watson, Luke Howard (Deep Inside), Richard Sen, James Priestley (Secret Sundaze) and Severino. 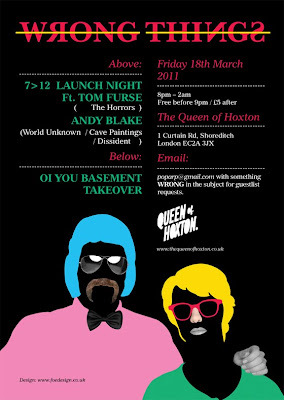 for guestlist requests email POPARP@GMAIL.COM with 'wrong' in the subject. 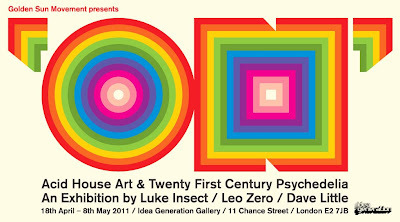 Recent guest and BIJ favorite Leo Zero exhibits alongside Luke Insect and Dave Little at the Idea Generation gallery from April the 18th and the course is set for a heady visual trip! 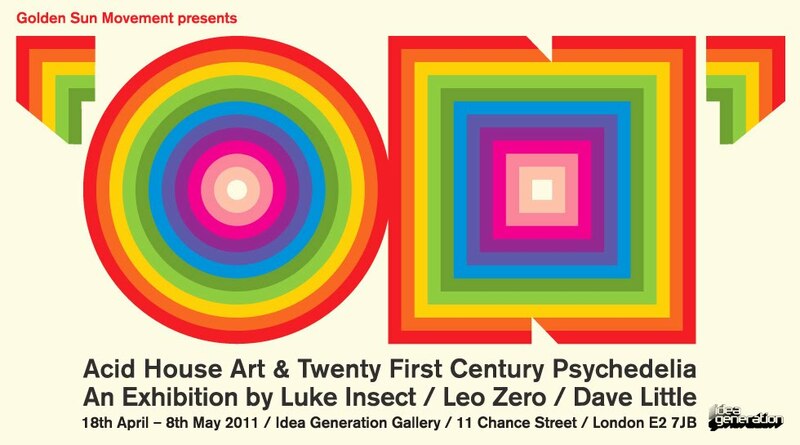 This multimedia exhibition pulls together works spanning 3decades and demonstrates the artists unique take on psychedelia through sleeve art and poster work alongside works on mirrors, windows and doors. Word is there will be a tasty little after party round the corner on the opening night - watch this space for details.